Sometimes, you will still become infected with the flu even when you have had a flu shot, stay away from infected persons, and practice good hygiene, as well as adopt a healthy lifestyle. Fortunately, you have the option of antiviral drugs, which are formulated to make your sick-with-the-flu experience less unpleasant (i.e., lesser severity and shorter duration of the symptoms). Children, especially the very sick ones, are also more likely to benefit from the prompt administration of antivirals (Pediatrics). This is an important finding considering that children, both the healthy and sick ones (i.e., with compromised immune systems), are at higher risk for serious complications from a flu infection. Before asking your doctor for a prescription, here are a few things that you may want to know about antivirals. Antiviral drugs are prescription medications that work against viruses mainly by reducing the severity and duration of the associated symptoms. Currently, doctors prescribe two antivirals for flu treatment, namely, oseltamivir phosphate (Tamiflu) and zanamivir (Relenza); there are presently no generic counterparts. These medications work in a specialized way but in a manner different from antibiotics. Antivirals fight off the flu by preventing the replication of viruses and, thus, keeping them from invading other cells in the body. The chemicals in antivirals bind to an enzyme in the invading virus that, in turn, prevents the release of virions into the cells; virions are the virus’ infectious part. Why Are These Drugs Prescribed? Shorten the duration of the symptoms by 1-2 days. You may be able to recover faster so that you can get back to your normal activities quicker, too. But emphasis must be made that antivirals should be administered within the first 48 hours after the symptoms set in or these will have little of the desired impact. Your doctor will likely prescribe it on the third or fourth day of your symptoms in case the goal is the prevention of the spread of the infection. Who Can Take the Drugs? 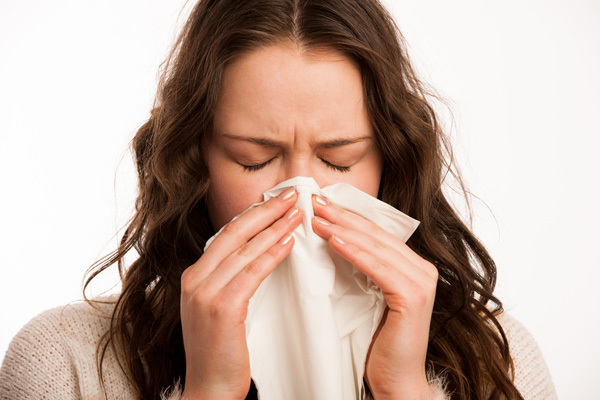 Tamiflu can be prescribed to virtually all persons, even for young infants. Relenza, in contrast, can only be administered to adults and children 6 years old and above since it is inhaled through the nose, not taken via the mouth. Of course, the most effective method of flu prevention is still getting your seasonal flu shot at places like Rite Aid since the vaccine is designed to counteract the viral infection.